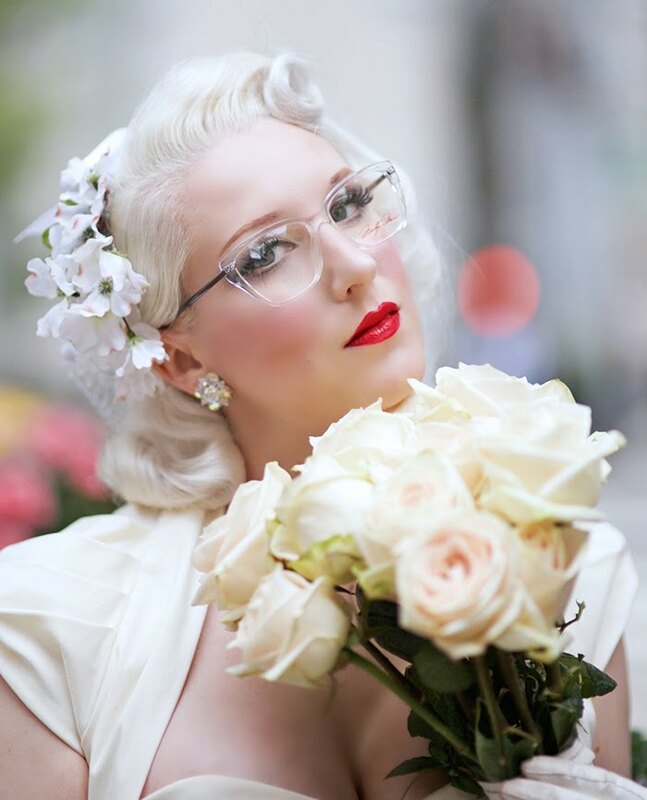 Glamour & Glasses - Marilyn Monroe Eyewear knows how to do this! 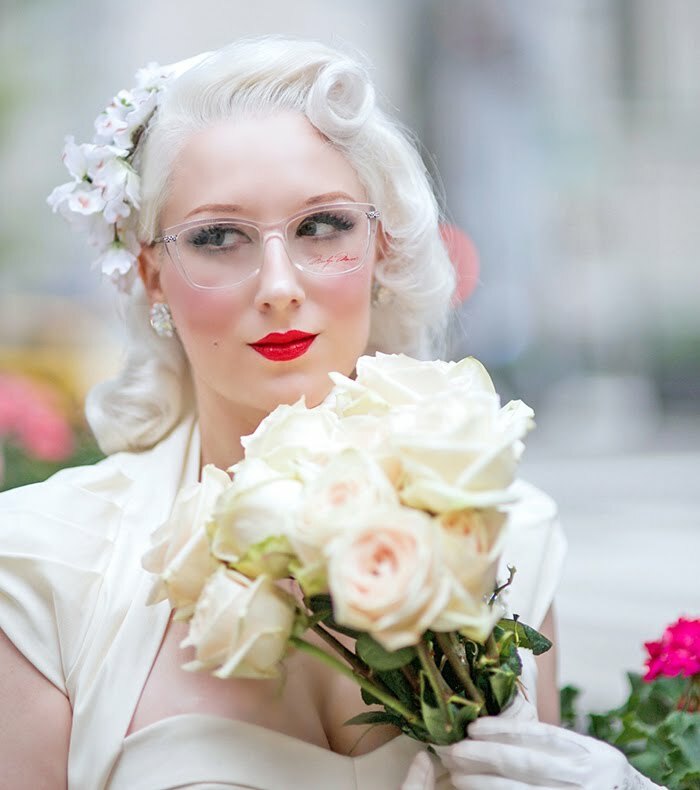 If you wear glasses, and would like to wear them on your wedding day, I have the perfect pair for you. 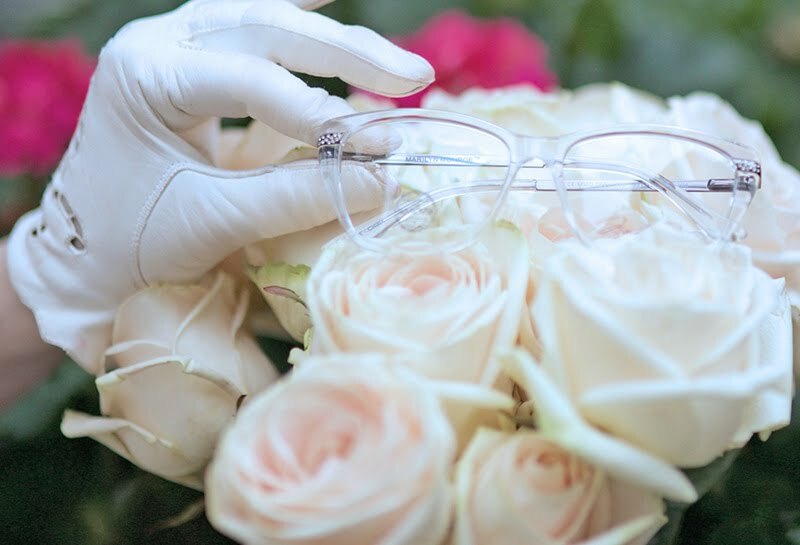 This frame is not only a great option for brides, but also for attending a wedding! 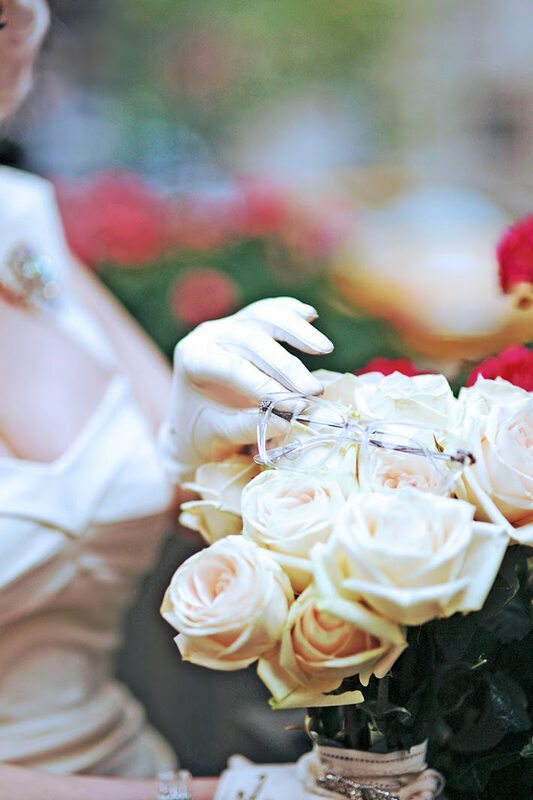 When I want to add glamour, I usually opt for either gold or crystal accents, and most often the latter. 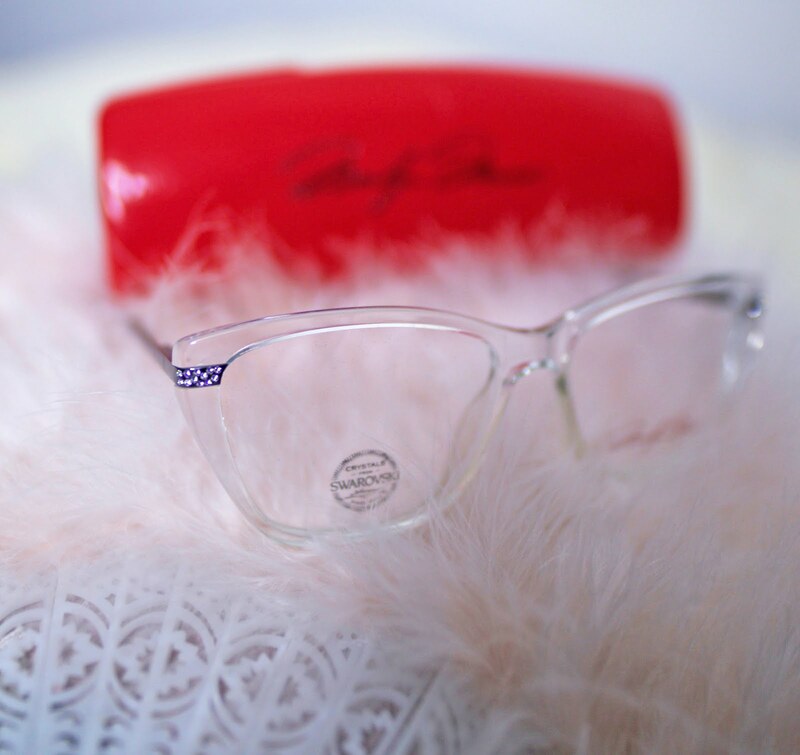 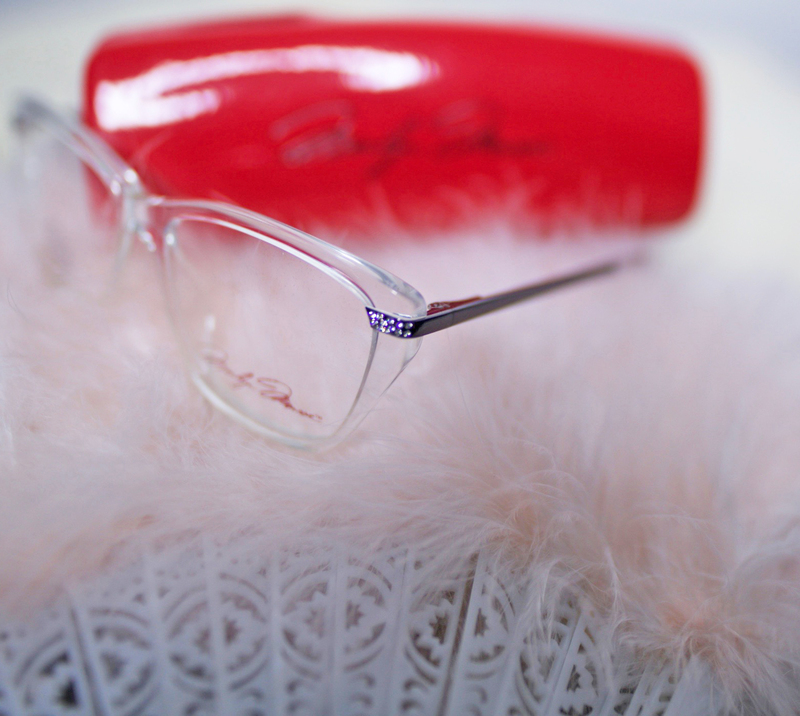 Provided by Eyemart Express, today's pair is made of a thick, clear elegant frame with Swarovski crystal accents at each corner. 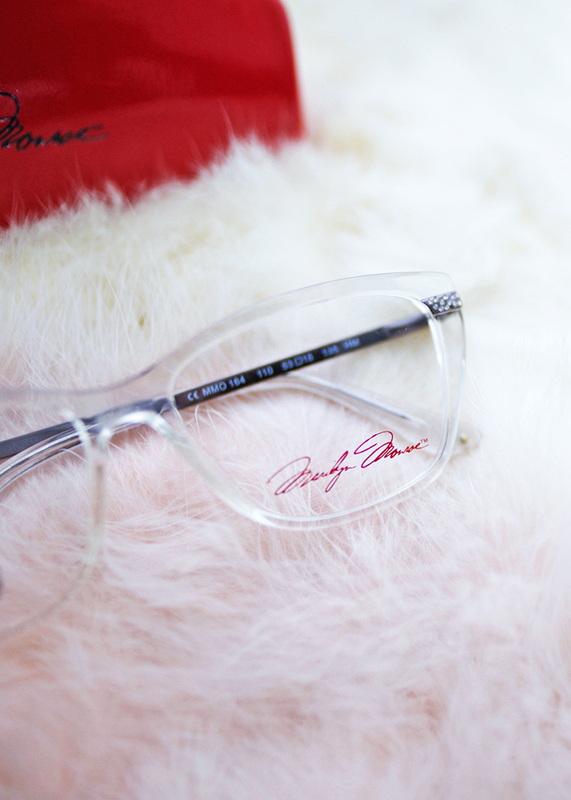 One of the most special aspects however, is Marilyn Monroe's signature in red, gracing the left lense. 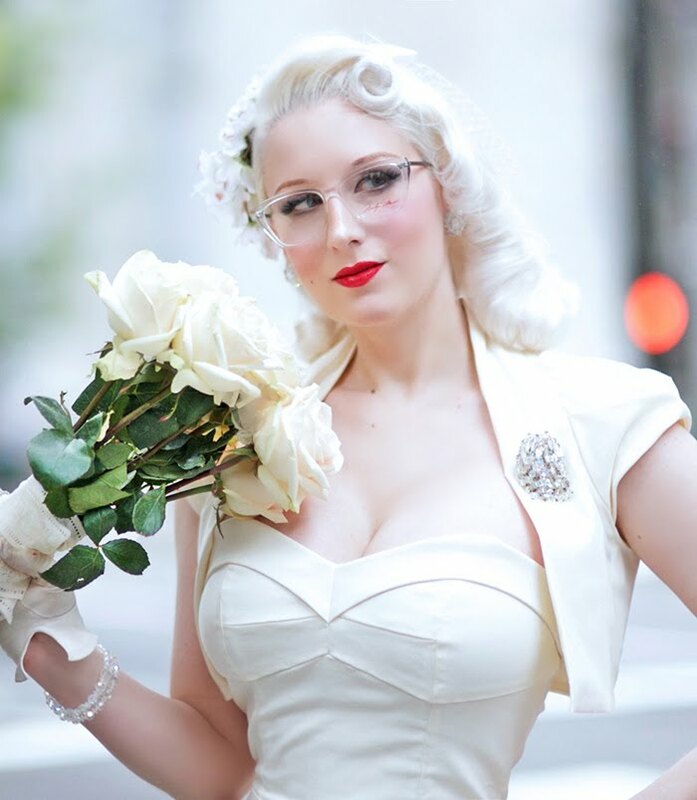 I created a retro wedding-inspired look hinting at Marilyn's simple, neutral-loving aesthetic, as an option for spectacle-wearing brides with glamour!